With over 20 million products searches done daily in Canada, retailers need to ensure they are being found. 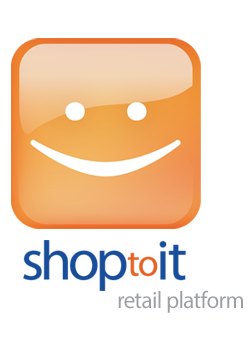 Shoptoit is Canada’s longest standing and largest bilingual shopping search engine. Shoptoit reaches millions of Canadian shoppers, and lists over 12 million products from more than 1,000 ecommerce stores and 4,000 local stores. Reach Canadian shoppers by listing with the Shoptoit Network. Shoptoit is a one-stop-shop for retailers wanting to leverage the internet to increase eCommerce sales. Our platform allows retailers to create, manage and publish their product content to reach engaged shoppers, through our extensive shopping network. The Shoptoit Local Store Program helps in-store retailers get found by nearby shoppers while they are actively searching from their desktop, tablet or smartphone. Our free store directory means any retailer can participate.